Sharon began studying piano at the young age of five and has enjoyed a life filled with music and song. It's her passion to share the art and language of music with others so they, too, can enjoy a lifetime of musical expression and appreciation. Sharon is the worship leader at her church, and as pianist and then keyboardist in the band for over 22 years, has gained real-life experience in live performance and the art of arranging music for various instrumentation, and often doing so on the fly! In addition, she has accompanied soloists, played for weddings, and is also a composer. These experiences have impacted her vision for sharing music with others. Some musicians dream of playing solo onstage at Carnegie Hall. Sharon can think of nothing better than to enjoy a rousing pick-up session with family and friends, and believes that everyone, regardless of skill level, should be able to enjoy making music the same way. Her goal as a piano teacher is to give each student an opportunity to play with and for others and enjoy the communal benefits of music making, as well as to prepare them if their dream is to debut as a concert pianist. 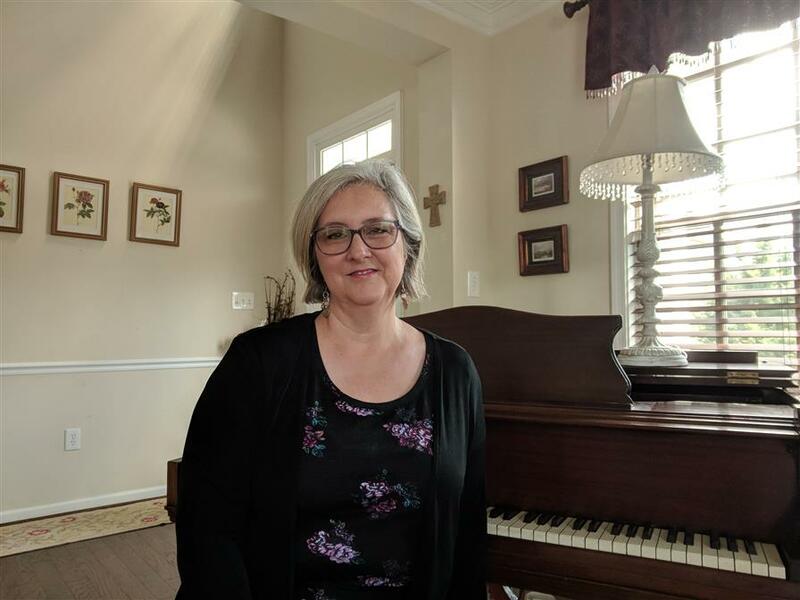 Sharon most recently completed a Masters Certification in Songwriting from Berklee College of Music and is pleased to incorporate composition as an important component in her piano teaching curriculum.